the sun is actually ~out you guys, ~actually out. let's not all stare directly at it, in case it sees us and knows we're on to it, because then it will probably disappear and hide for nine months again. we're in for the longest day of the year today, and we're ~officially in summer now too; today's definitely a day for summery fun, that's for sure! so with all the great british summer activities in full swing across the city now - bst at hyde park (next weekend: tay tay! 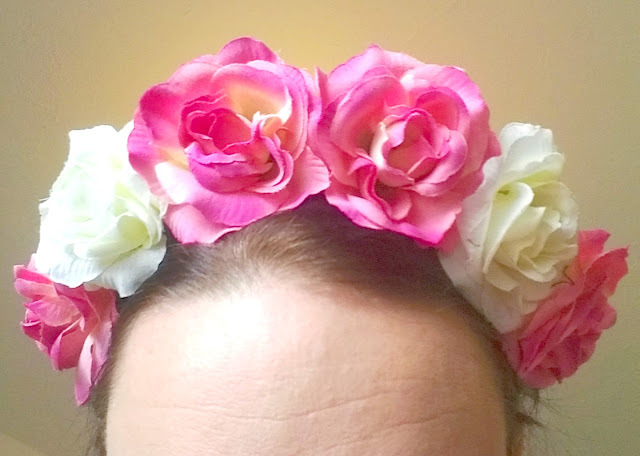 ), street feasts happening all over the place, and parades and anti-austerity marches ahoy, it's finally time to pull all my summer crowns and floral maxi dresses out of storage, and get really get into the spirit of the season! 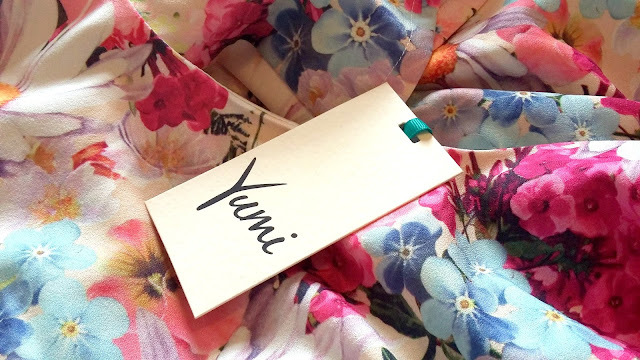 i was excited to be invited to be involved in yumi's 30 days of summer challenge, not only because yumi are one of my favourite concession brands in both new look and online at asos, but also because i've had ~this particular floral maxi in my wish list for the best part of the last month, and i was pleased as punch when it finally landed on my desk on my return from my trip to portugal last week. 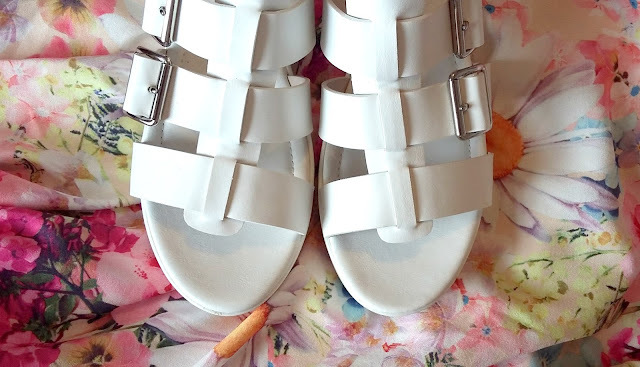 the block gladiator sandals are a bold choice for me; white in london is a preeeeetty bad idea, and t-bar sandals don't usually flatter me at all, but i thought they looked fab on-site and i really thought they'd be a nice change from all the flat sandals in my shoedrobe. 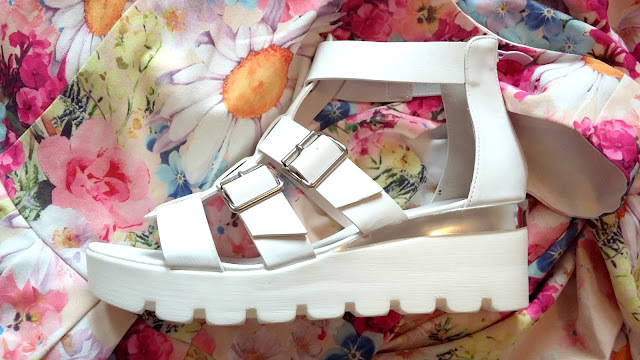 they're actually really comfy too, which was a surprise, as they've a hidden zip up the back and a touch of elastic, so they actually stretch a bit to fit - i wasn't expecting to be able to slip into them so well. 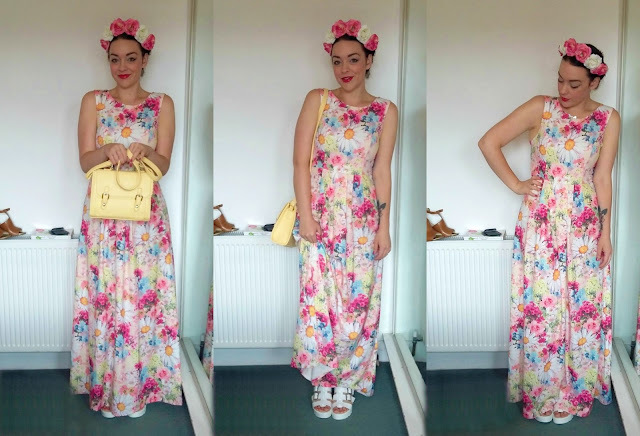 so, it's safe to say this outfit is going to be a ~handy one to have around this summer! 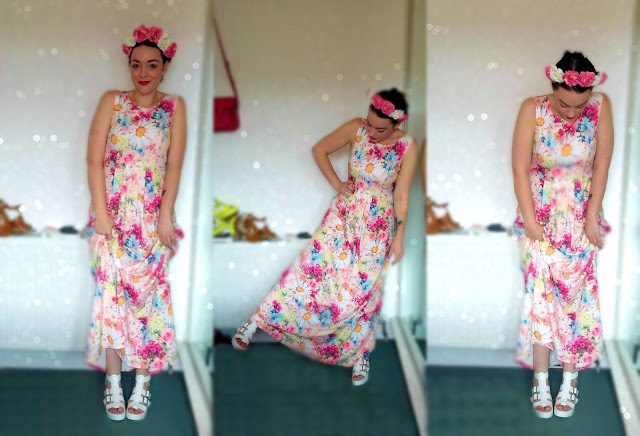 oh, and apologies for the terrible photo-shopping attempts up there; that bed of mine is a sneaky thing to have in the middle of my room, so i try to erase it from photos as best i can. didn't do a terribly good job this week though...obviously.